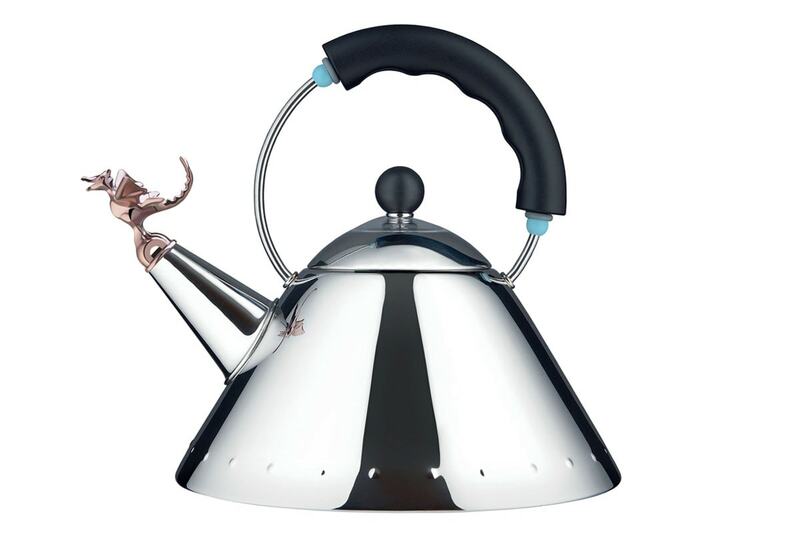 In 1980, Michael Graves was one of several internationally known architects to receive an invitation to participate in the Alessi-sponsored “Coffee and Tea Piazza” design promotion. Of all the sets designed and manufactured, Michael Graves’ design sold best. Alessi then commissioned Graves to design the now famous whistling bird teakettle that in turn led to a decades-long design collaboration that produced more than 150 products. Michael Graves’ whistling bird teakettle launched in 1985 and has been Alessi’s number one selling item for the past 30 years, with over 2 million units sold. The design of the kettle utilizes strong metaphorical references to communicate use: the blue handle signals that it’s cool to touch while the red bird signals warmth. Sunday Morning, the CBS weekly news show recently devoted a segment to “Timeless Design” and Donald Strum, Principal of Product Design for MGA&D was interviewed. “I am fortunate to have been able to work with Michael on the design, and to this day, every time I hear it whistle, it makes me smile.” Check out the interview at CBS Sunday Morning.